Take in the spectacular views of the valley and mountain surroundings from the living room, balcony, or even from bed! This lovely studio is perfect for a mountain getaway! Light and bright with everything you’ll need, including a fully equipped kitchen with full size appliances, plenty of prep space and a dining table that can seat four. The living area has a large flat screen TV with DVD player, mounted over the gas fireplace, and sliding glass doors lead to the private balcony that overlooks the pool area and leafy outlook. There is a queen bed, as well as a queen sleeper sofa, plenty of storage with tall dresser and closet. The bathroom located by the entry offers shower and tub combo, with separate vanity area. Guests have access to the coin-operated laundry located in the building, plus in the winter an on-call shuttle service. Calculate rates, confirm dates and book SL104 - Scandinavian Lodge and Condominiums online. Ski Area Base: Guests can ski out from the Scandinavian Lodge to the slopes of Steamboat's ski area. 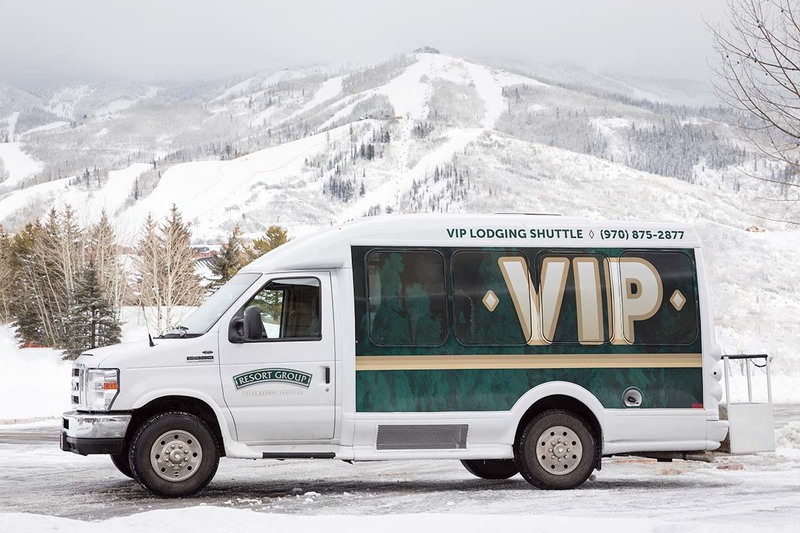 There is a 150 yard walk back to the property from the base of the Thunderhead Lift, or guests may choose to ride the complimentary shuttle to and from the slopes.